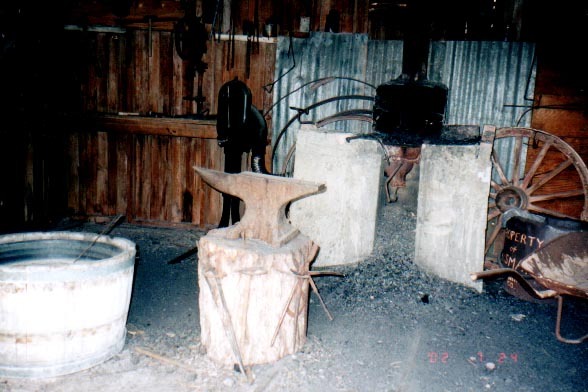 In July 2002, we had to make a trip to California as my ex-stepfather had a rather serious heart attack. We didn't want to leave my brother to face that alone. So on July 18, my mother Lynn, Step-father, Bob, and I all boarded a plane from Orlando to Detroit then on to Las Vegas. 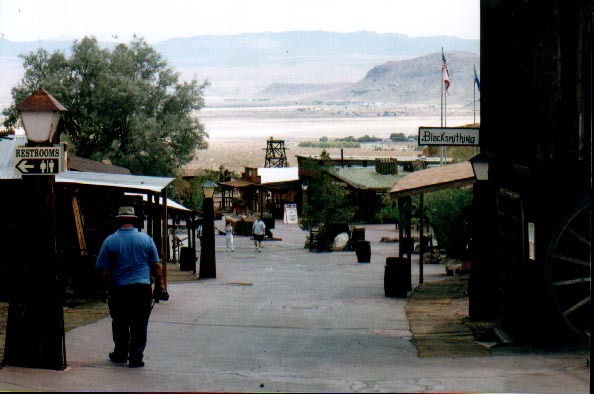 From there, we drove to Barstow, California. Then we went on to Los Angeles as Herman was transferred to Cedars-Sinai Medical Center where we received the best care available. While on our impromptu trip, we did get to see a few of the sites. 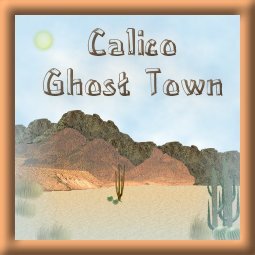 Calico Ghost Town is locate in Yermo, California. At one time my brother Shane and his dad Herman lived there. 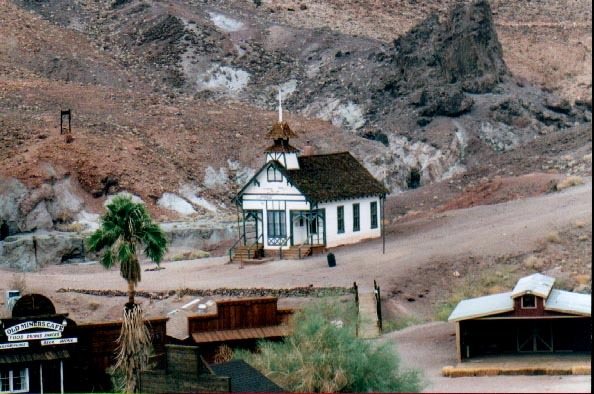 Now Herman lives in Barstow, CA and Shane lives in nearby Newberry Springs, California. 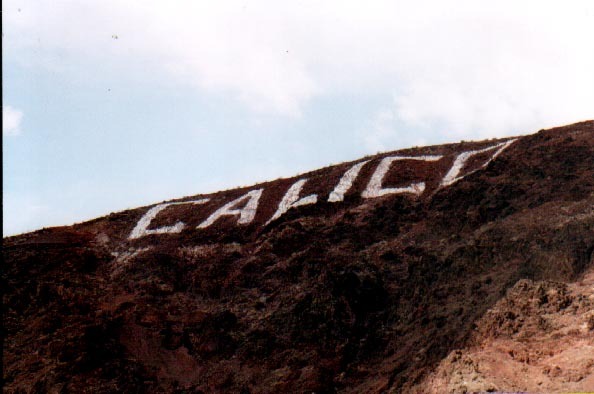 The first picture was taken of the sign on the Mountains announcing Calico. 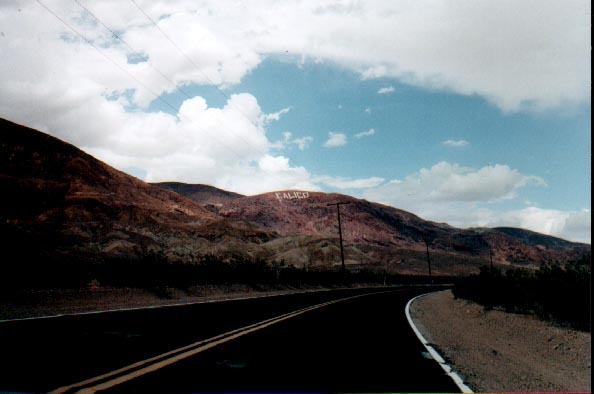 The one on the right was taken as we were driving up to Calico. 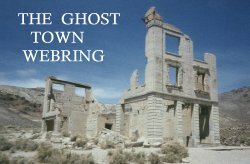 I just fell in love with the Barstow area. The mountains are so beautiful. I took 16 rolls of film in 10 days. LOL. I'm a picture nut! These 2 pictures were taken from the top of an observation mountain. 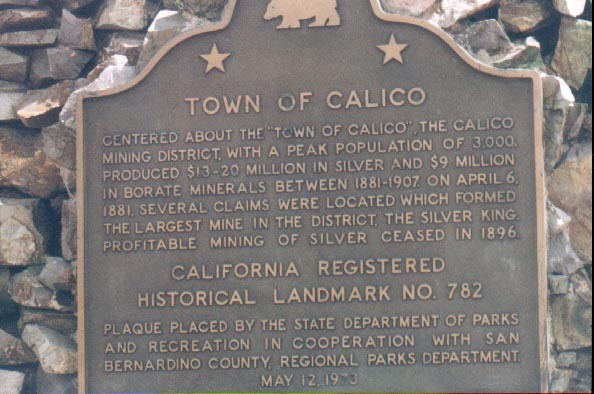 Here are some snaps of 2 of the signs that tell all about Calico. 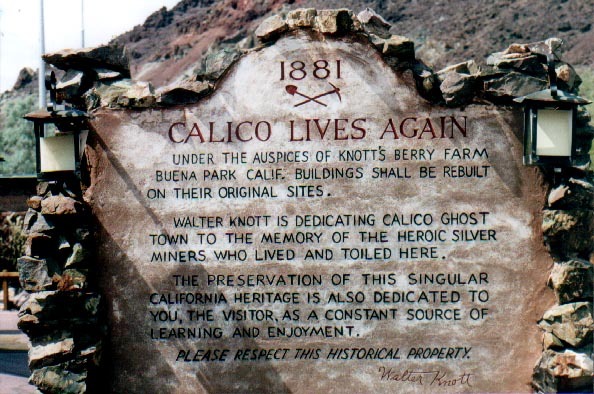 These first picture was taken in the Blacksmith's shop and the second is of the Church/School of Calico. 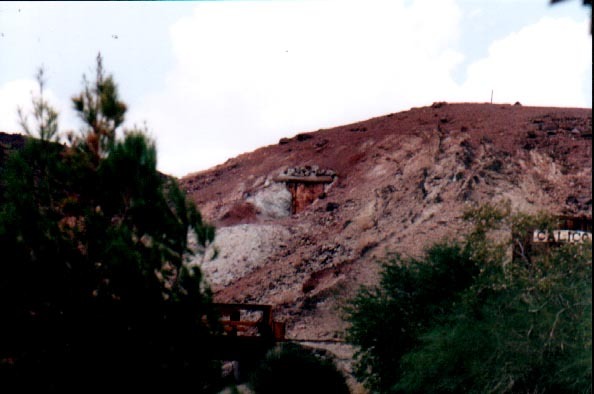 The left picture is of one of the beautiful mountains at Calico. 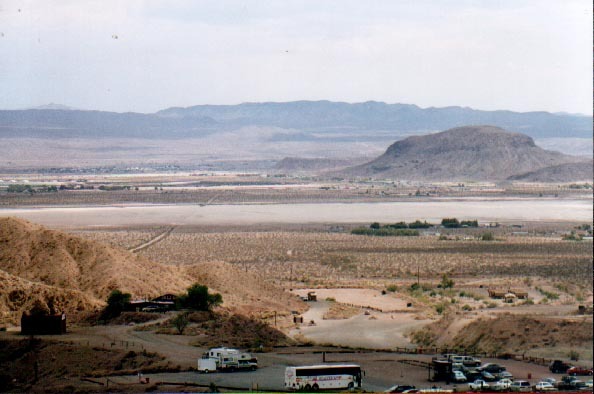 The picture on the right is of a dry lake bed taken from the observation point. The light sandy area is the dry lake bed - which are abundant in the high desert. owned by Terri Lynn's Calico Page.